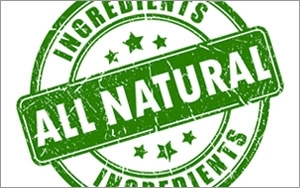 How Much Can Brands Benefit From 'No Artificial Ingredients'? For the rapidly growing number of food and beverage brands that are declaring that they've removed artificial ingredients from their products, a new survey offers good news — with one potentially significant rider. While most consumers confirm that removing artificial ingredients would improve their perceptions of brands and likelihood of buying them, they also seem to indicate that a company's size influences their perceptions of how credible they find "natural" and "free-from" claims. The poll also yielded some intriguing views on which categories are healthy and unhealthy and whether removing artificial ingredients would improve or actually undermine some foods' healthiness. Market researcher Instantly surveyed 4,200 people across the country who are members of its iPoll community. Nearly half (47%) said that they review the ingredients on labels all of the time, and another 30% said that they do so some of the time. More than 80% agreed that food products with artificial ingredients are less healthy than food products with natural ingredients (41% agreed strongly and the same percentage agreed somewhat). More than two-thirds reported that they have either a good understanding (45%) or thorough understanding (23%) of the meanings of "artificial" ingredients and "natural" ingredients and the differences between them. Another 25% said that they have a "decent" understanding. Furthermore, 75% said that the removal of artificial ingredients would make them somewhat (43%) or much more (32%) likely to buy a particular brand. Just 21% said it would not change their purchase likelihood, and 4% said that it would lower their purchase likelihood. At the same time, these consumers confirmed that company size is a powerful factor in brand perception and purchase decisions. Forty-five percent said that the company that manufactures the product is somewhat important in their purchasing decisions, and 23% said that it's very important. A quarter said that they view it as neither important or unimportant. The respondents were split on whether, in general, they have greater trust in large, established food and beverage companies (52%) or small, independent food companies (48%). But when it comes to which type of company they trust most to produce "all-natural" products, 75% chose small, independent companies, versus just 25% choosing large companies. In addition, 70% said that they think that most natural food brands are owned by small companies, versus 30% who think that most are owned by large companies. Some Categories Better Off Artificial? It's hardly surprising that when asked to indicate whether they view various food categories as healthy or unhealthy, the two categories with the highest numbers of unhealthy votes were candy and fast food (each were viewed as unhealthy by 86% of respondents). But what does seem surprising is that when asked if it would make products healthier or unhealthier (or make no difference) if companies removed artificial ingredients from various categories, significant percentages of respondents actually indicated that this would make candy and fast food less healthy (38% and 35%, respectively). Slightly larger percentages said that removing artificial ingredients wouldn't make candy or fast food either healthier or unhealthier (46% and 41%, respectively). In general, the numbers of respondents saying that removing artificial ingredients would make a category less healthy were higher for the categories viewed as least healthy to begin with. For example, 64% and 54%, respectively, view frozen pizza and packaged dinners as unhealthy, and 19% and 15% respectively said that removing artificial ingredients would make these foods less healthy. Might consumers equate artificial ingredients with preservatives or some safety advantage when it comes to foods perceived as less healthy, or is some other logic in play? The survey didn't probe the reasoning behind these answers. Of the eight categories on the survey, cereal and cereal bars were viewed as the healthiest (49% ranked them "healthy" and 37% "neither healthy nor unhealthy"). Canned soups were second (30% and 44% viewed them as healthy or neutral, respectively), and snacks came in third (21% and 3% viewed them as healthy and neutral, respectively). While packaged dinners and frozen pizza had high unhealthy percentage responses, nearly 40% of respondents viewed each of these categories as neutral when it comes to how healthy they are. A summary with charts is available on Instantly's site.